Part of maintaining a successful website involves changing the design from time to time. Doing so may add both aesthetic and functional value to your site, reinforcing its dominance as an authority figure in your respective niche. But how do you know when it’s time to redesign your website? Website Has Long Load Times? Long load times can have a significant impact on your site’s traffic. And this will cause some visitors to click the back button in their web browser instead of waiting for it to load. Test your site’s load times using a tool like Pingdom to determine how long it takes to load. If it’s over four seconds, it’s probably a good idea to change the design. Implementing a new, more optimized design can speed up your site, making it more appealing to visitors and search engines. Assuming your website’s goal is to generate sales or leads, you may want to redesign it if it’s suffering from a low conversion rate. While there’s no magic number for a good conversion rate, you can usually tell when something is wrong by analyzing your site’s metrics. Do you have thousands of daily visits to your site but only a handful are converting into paying customers? It’s usually indicative of a more serious underlying problem, in which case redesigning your site may prove beneficial. Then you should redesign your website so it will reflect the new branding. A website is an excellent platform on which to reinforce your brand. But it only works if it contains accurate, up-to-date brand elements. “Mobile-friendliness” is the word of the year, well it should be at least. Given the fact that more people now access the Internet from a smartphone or tablet, this is an element that webmasters can no longer afford to overlook. If your website isn’t compatible on both desktops and mobile devices, it’s time for a redesign. Updating your site to include a Responsive Web Design (RWD) will ensure that everyone can access it, regardless of their viewing device. To see whether or not your website is compatible on mobile devices, run it through Google’s testing tool at https://www.google.com/webmasters/tools/mobile-friendly/. It’s estimated that as many as 3 out of every 4 websites contain at least one type of serious security vulnerability. It’s easy to turn a blind eye to the possibility of hacking, assuming that your site is protected from these attacks. However, if your site contains an outdated design with poorly written code, it could pose a serious risk in terms of security. So if you believe your site has one or more vulnerabilities that hackers could potentially exploit, it’s a good idea to fix them with a new design. Have anything else that you would like to add? Let us know in the comments section below! Don’t have time to redesign a website for your business? We can help! We help businesses in all digital marketing platforms, including website design, creation, and maintenance. Schedule a FREE business growth call today to see how we can help your business! 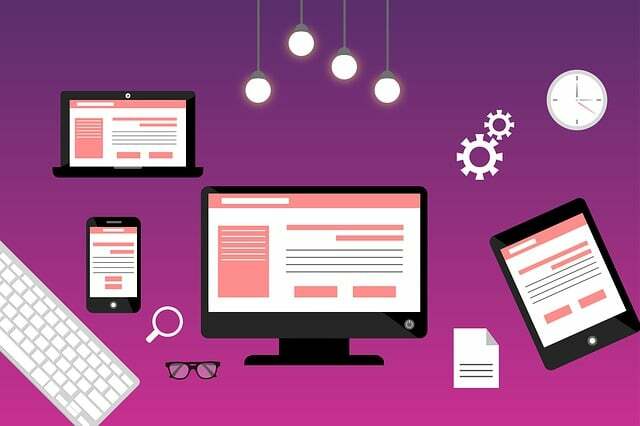 If your website isn't attracting much traffic or conversions, it might be time for a redesign - here are some things to check. Great post, but I’d add it’s also time to consider redesigning when your content is stale. I still see a fair amount of websites boasting about achievements from long ago or missing links to social media platforms/blogs/etc. When your site isn’t listed on the first page of search results, it’s probably time to consider redesigning your site. Valuable input – I admittedly just initiated the process of redesign due to some of these factors.